Things have been a bit quiet on my blog this summer, but I've been busy behind the scenes planning lots of fun new stuff that I can't wait to share with you guys. Because of my break, if you're signed up to my monthly free pattern newsletter you'll get two emails in August with two free projects. 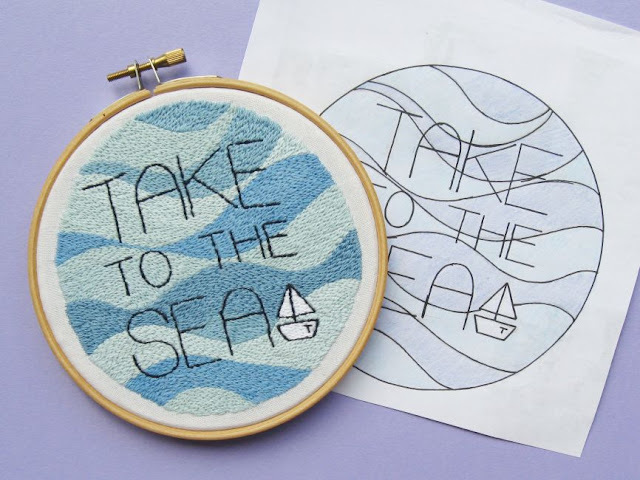 First up: I'm working on a felt version of my "Take to the Sea" hoop art. 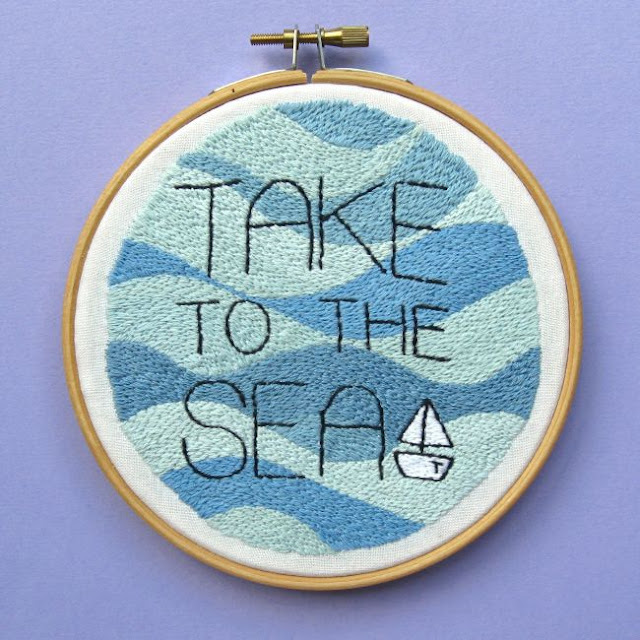 I stitched this for a friend a couple of years ago and, as an embroidery project, it was pretty labour intensive! I've been thinking about making a simpler felt version of this design for ages and this seemed like the perfect opportunity to give it a try. I always include a link to the previous month's freebie in each of my free pattern newsletters, so no matter what time during the month you sign up you'll definitely receive that month's pattern. (Actually, when I send my "July" newsletter, you'll get the links for June's rag doll project AND May's felt flowers tutorial because I got so distracted worrying about the formatting of my June email having switched email providers that I forgot to share the previous month's link as usual - oops!). Not yet subscribed? Click here for all the details! For more crafty goodness you can also subscribe to my weekly crafty newsletter, or updates about new patterns in my shop and special offers.